12 Feb 2019 / 11:19 H.
Dr. Wong (standing) with (from left) Alicia Loo, Prof. Lee and Saravanamalar Surarajah. DPR students (from left) Ng, Law, Chu and Wong. BERJAYA University College (BERJAYA UC), having made its mark in the services industry with programmes in culinary arts and hospitality management, now broadens its educational offerings to include other related disciplines. 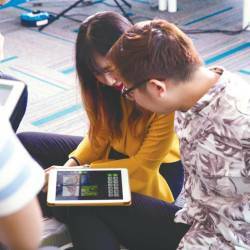 It recently introduced a Bachelor of Communication (Hons) programme that offers four areas of specialisation - Public Relations & Persuasion, Advertising & Brand Management, Organisational & Corporate Communication, as well as Integrated Marketing Communication. 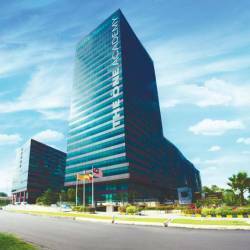 The new programme is in line with BERJAYA UC’s development plans and considers Malaysia’s gross domestic product 2020 forecast in which the services sector is expected to contribute 60%. Demand in professional communication services is also foreseen, along with advancements in information and communication technologies. Given that, communication and media studies have become popular tertiary programmes as they open doors to jobs in advertising, brand management, corporate communication, journalism, business, public relations, marketing, inter-cultural communication, counselling and public administration, to name a few. In this day and age, effective communication is especially pivotal across almost every aspect of life, and a professional who understands the dynamics of human communication - as in persuasion, negotiation, conciliation, etc. - is very much sought after by organisations. Head of BERJAYA School of Communication & Media Arts (BSCMA), Dr. Wong Kok Keong, said that communication studies encompass a wide range of topics and will include face-to-face conversations, group communication work, mass communication through print and broadcast media, and social media communication via the Internet. Specialisation areas will cover many thought-provoking and hands-on subjects like communication theory and communicating in different cultures to advertising, public relations, managing corporate communication, and persuasive communication in politics. Students will also be trained to choose and use the most effective communication tools and strategies. 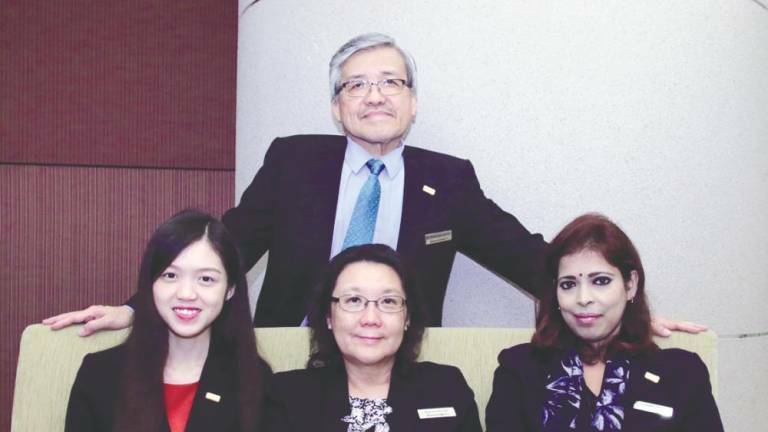 Said Dean of the Faculty of Liberal Arts (FLA), Prof. Dr. Lee Eileen, “The new Berjaya communication programme is a perfect example of symbiosis as it brings together the best in the three vital curricular areas—the academic, industry and creative. In our communication degree programme, we prepare our graduates to be productive contributors to the communication profession, imaginative thinkers, and life-long learners and problem-solvers pertaining to communication at work, home and at play”. The programme is said to be supported by teaching staff who are Masters and Degree holders, experienced individuals, and industry practitioners who teach with expertise, familiarity and competence. Current Diploma in Public Relations (DPR) students are confident that their peers enrolled for the new programme, will receive the same academic quality and pastoral commitment. Second year, third semester student Nico Wong, spoke highly of the lecturers who deliver quality lessons that are interesting and engaging. On completing her Diploma in May, she plans to take up BERJAYA UC’s degree programme and specialise in Public Relations and Persuasion. Her coursemate Connor Chu shared that the deeper he got into studying PR, the more he fell in love with it. He intends to pursue the same Bachelor of Communication (Hons) programme but specialise in Organisational and Corporate Communication. 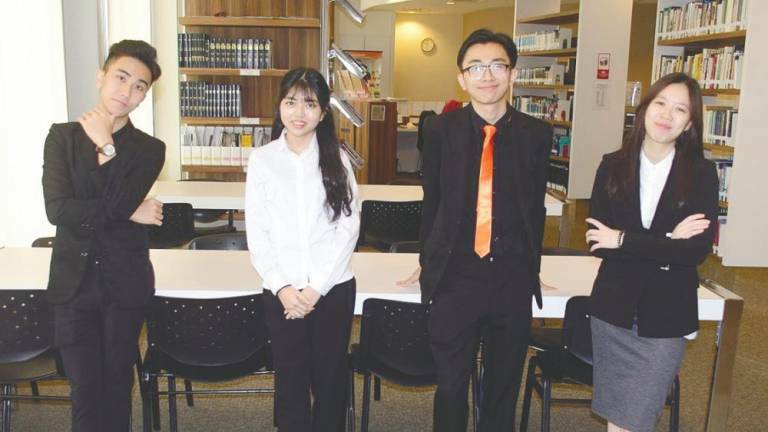 Similarly, other DPR students Ng Jun Chang and Law Li Sin have nothing but good things to say about the programme which they have no regret taking up. It has helped equip them with essential and effective skills and knowledge, and provided many great student opportunities and experiences. 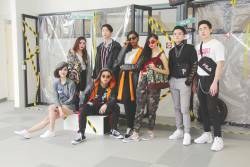 Visit First City University College, open every day this April, to learn of its fashion-focused degree programmes. 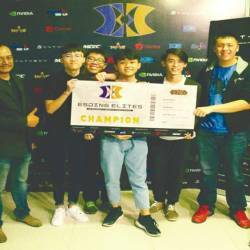 TAR UC IGS members who emerged champions in the League of Legends at the Malaysia Esding Elites Intervarsity Esports Championship.